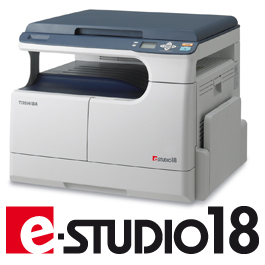 One of the most confusing things in gadgets supports, is that a big company won't provide an online copy or update for it's hardware drivers, Toshiba here is no more providing support for it's e-studio 18 Monochrome MFP machine. So here on this post I want to share with you the available driver for this printer, just download the bellow compressed file, extracted, plug you printer and then run the included exe setup. If you can't get it to work just go to your missing device in Windows device manager then search for the driver manually in the extracted folder.